Its been a long time since I’ve posted some marketing features on iTunes. Though, we’ve had many features and placements through various stores, this one, was very intriguing to me that I felt that I should post it out. I am very proud to say that we’ve been able to break the barrier of other territorial features other than the United States. WaTunes Artist, TechnoVoc, who released his debut album ‘Forever’ has been featured on the iTunes Store in both US and Canada in the Electronic genre. I recommend everyone picking up a copy of this really interesting album. The screenshots are the featured album. As always, we’re willing to provide services like these for VIP customers. As a VIP customer, we can work with you to expand your music, secure placements, and up the ante on your brand. DETROIT – November 20th, 2009 – WaTunes, the world’s revolutionary social music service that offers the first ever free online music distribution service into the iTunes Store has announced its new Online Trend feature. This new feature enables artists view their Trending Reports online. Trending Reports are projected trending data given from iTunes to use for marketing & promotional purposes and give artists a gauge of their projected sales. WaTunes will offer this feature as apart of its VIP service, which is priced at $12.95 per month. Says Kevin Rivers, CEO of WaTunes. The WaTunes social platform enables anyone to embed ANY widget including MySpace, YouTube, iMeem, ReverbNation, and other media players into their profiles. WaTunes also gives every user the ability to share their Facebook profiles, post comments to friends, and instantly make calls to each other via Skype for free. WaTunes provides tools for independent artists and labels to showcase their music and put them up for sale on leading digital stores including iTunes, eMusic, Amazon, AT&T, Verizon, and Playstation 3. Apart from unveiling the new trending system, WaTunes is also launching a new VIP Holiday & New Years promotion initiative. Starting November 23rd, 2009 until February 28th, 2010, newly subscribe VIP artists will receive $20.00 in addition to their February earnings received from digital services like iTunes. Says Tony Pytleski, Vice President of WaTunes. WaTunes is a social music service that enables music artists and record labels to sell their music to on the iTunes Store entirely free. Artists and labels are able to sell unlimited music on the iTunes Store without any cost and receive 100% of royalties from their music. WaTunes also provides a whole new social music experience that enables the fans to create their very own profiles, talk instantly via Skype, embed any music and video widgets including YouTube and Myspace, and share profile links. Only a few days away until Thanksgiving (for some of us that is). As of today, we will no longer be servicing iTunes Weekly Trending Reports via e-mail. At the moment, we are working on something much better. A fresh Online Trending System. This enables you to view your iTunes Weekly Trending Reports on-site (similiar to how you view your sales). 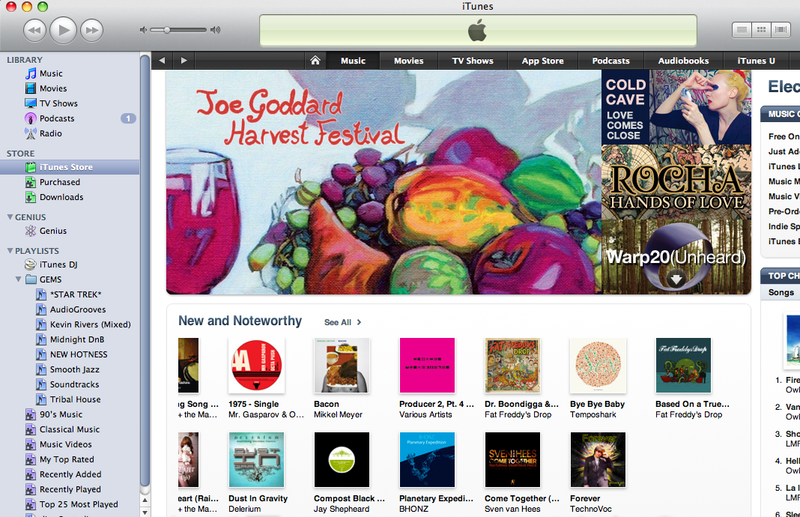 The iTunes Weekly Trending System is only available to VIP customers only. You can become a VIP member today for just $12.95 per month and gain access to all sorts of digital services and mobile stores including Amazon, Rhapsody, eMusic, AT&T, Playstation 3, and more! Q: So what are a few things you SHOULD know about iTunes Weekly Trending Reports? 1: iTunes Weekly Trending Reports ARE NOT 100% accurate data. DO NOT use them as sales data. iTunes Financial Reports received every month are 100% accurate. 2: iTunes Weekly Trending Reports are used for projection purposes of where your sales could be. Its simply an indication to see what areas you should focus on for marketing and promotions. 3: With the launch of the new Trending System, you are able to view a summarized version of your iTunes Weekly Trending Reports on-site for FREE as a VIP customer. You can request a detailed version (which includes ZIP codes, etc.) for $2 per report. We’re moving at lightning speed, working on new features and enhancing our digital distribution and social platforms. As always, please post your comments here about what you think about our services, features, and updates. Great new features are rolling out as we move forward to the end of the year. One of the great new features we have now is the new iTunes Sync feature. This enables you to sync your iTunes Artist Pages to your WaTunes profile. With this great new development you’ll be able to easily draw your fans to buy your music on iTunes directly from your WaTunes Profile. Q: So how do you get started? 3: Your iTunes ID is your artist name (For Example: Michael Jackson would be “michaeljackson”, The Big Blue Band would be “thebigblueband”, etc.). 4: Click on “Update Contact” to update your profile. 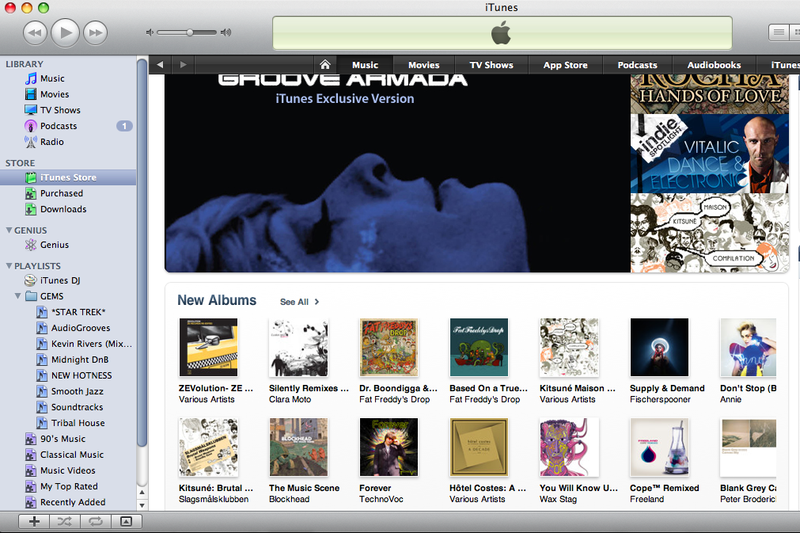 5: Click on the “View Profile” link to view your profile with your new iTunes button. That’s it! Now you can drive traffic from your WaTunes profile to iTunes to enable your fans to buy more of your music all in one go. As always please share with us your feedback on any features we add. Your feedback helps us make WaTunes an even greater experience. I’ve posted the list of music stores we service. Feel free to check them out and let us know if you need anything at all.